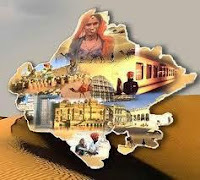 Rajasthan GK Question in Hindi Sample Paper 128: Rajasthan General Knowledge Sample Question Paper with Collection 15 Question of Rajasthan GK Questions for RAS, Rajasthan Police, REET, SI, Contable, Patwari and other state exams under GK Quiz in PDF @ Rajasthan GK Sample Papers. Rajasthan General Knowledge (GK) and General Studies (GS) Questions from various examinations of Rajasthan Govt. and central Govt Examinations. Q.2779 "कलपक्कम" किस राज्य में स्थित है ? Q.2783 '.TMP' extension refers usually to what kind of file? Q.2789 'DTP' computer abbreviation usually means?